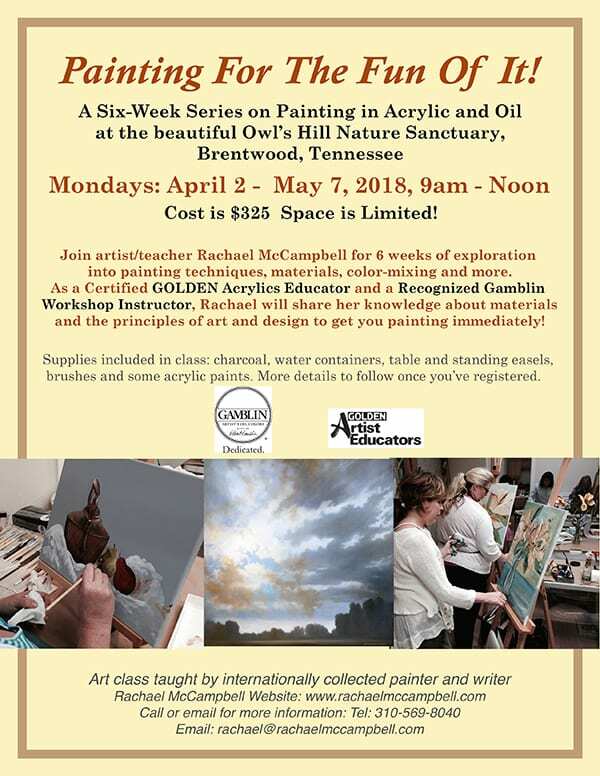 Come Join me for my upcoming Spring Series of Art Classes at Owl’s Hill Nature Sanctuary in Brentwood, TN. We meet on Monday mornings, 9 – noon, for six weeks. April 2 – May 7th. We will work on new painting techniques in both acrylic and oils. We will focus on the landscape but you can paint other things as well. Cost: $325 per person. I hope to see you there! Contact Owl’s Hill to register and pay.